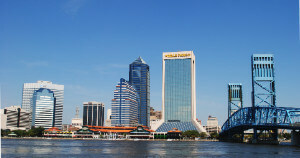 Our agency offers a party bus service in Jacksonville that can be the perfect solution for transporting wedding guests. If you have a wedding in the city, our limo coaches and limos can be the premier rides you need, for the wedding couple as well as for the wedding guests. We have different charter as well as party buses that come with entertainment systems and amenities on board. The process to make a booking of our party buses is a simple one. We have listed below the points you need to keep in mind when you wish to place a booking with us. To place a booking with our party bus rental Jacksonville service, simply let us know the number of people traveling, amenities you require, where you wish to travel and the date and time of your booking. Accordingly, we can help you choose a ride that is perfect for your budget. We have different coaches available for hire. These vary from shuttle buses, motor coaches, charter buses, passenger party buses and others. You can accommodate passengers from 14, 20 to 50 in these coaches. If you wish to party on board, the party buses come with convenient amenities. For small and exclusive rides check out the sedans and limos we offer through limo service Jacksonville. These prove ideal for wedding couples as well as for small groups of wedding guests. We offer up end models like BMW, Hummer Limos, Cadillac Escalade, Mercedes Benz, Chrysler 300, Lexus, Ford Excursion and others. For small groups of people to travel not exceeding 14, it would be ideal to book a limo or a shuttle bus from our agency. Those who wish to book party buses or limos with us, they will find our prices affordable at best. There are attractive discounts we offer as well, especially on bulk bookings. That makes it convenient to get different rides for your guests at one go. There are travel packages as well, which can be ideal if you wish to travel around town. The prices in general depend on the number of people traveling, the amenities you want on board, kind of coach or limo you wish to use and other factors. We can also book a limo for a bachelor party or bachelorette party before the big day. Jacksonville Zoo And Garden – This zoological garden is a popular choice for most people who visit the city for the first time. The Cummer Museum – This museum of art in the scenic garden surrounding is a wonderful place to visit. Space Base – This is a popular venue for games and fun for the entire family. You can go about town or even travel to and from nearby cities with our rides. That makes it convenient if you have wedding guests coming from areas like Kingsland, Palm Coast, Saint Simons, Atlantic Beach, Palm Valley, Jacksonville Beach, Saint Marys and other places.